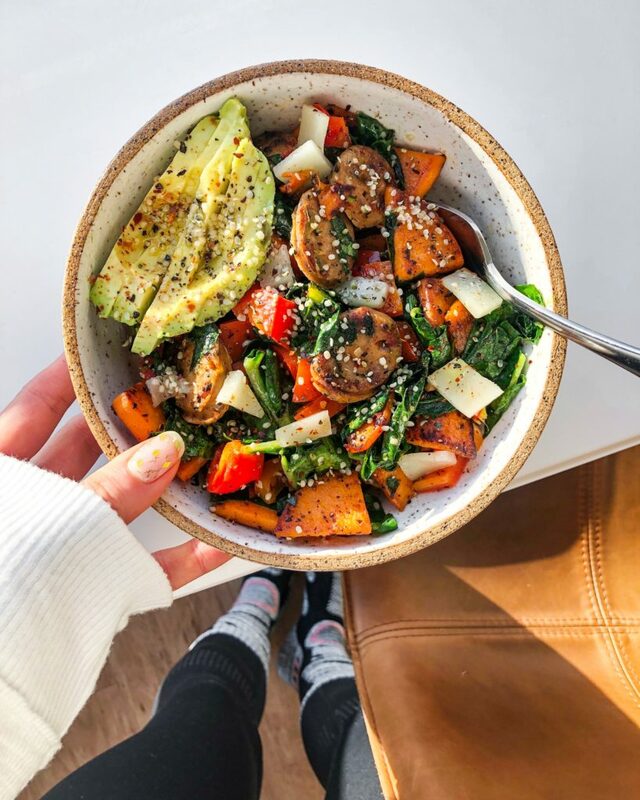 Thinly slice sweet potato into 1/4-inch thick rounds or triangles and saute in skillet with extra virgin olive oil for about 4-6 minutes, or until slightly turning brown. Add in sliced chicken sausage to skillet to brown, sauteing another 5-7 minutes and tossing constantly. Add in diced bell pepper, handfuls of roughly chopped swiss chard, pink salt & pepper and saute for another 1-2 minutes. Serve in bowls and top with flax oil, avocado, hemp seeds, red chili flakes, shredded cheese & hot sauce. Enjoy!